There are only 10 sections in the operator’s manual of an Apache sprayer. That’s about 150 fewer than some of the other guys. Is it because we’re slackers who grew tired of writing and called it quits after finishing chapter 10? Not at all. Did we intentionally limit the page count in an effort to save trees? No, we can’t claim that either. It’s simply because Apache sprayers are so, well, simple. There just isn’t all that much that we have to explain. What are the advantages to simplicity? 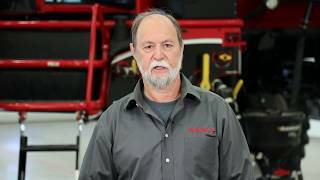 Have you ever tried to perform repairs or maintenance on a hydrostatic drive engine? Then you understand why Apache sprayers are all mechanical drive. The Apache’s mechanical drive transmission has fewer parts than hydrostat machines—meaning an Apache is easier to maintain. The average wheel motor of a hydrostatic drive can cost almost $5,000 per wheel—or $20,000 across the entire machine. Apaches, in general, have less expensive parts compared to hydrostat machines. For example, competitor filters are 55 percent higher, flow meters are 74 percent higher, and 3-way nozzle bodies are 31 percent higher on average. Simplicity breeds dependability. 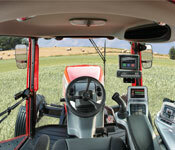 The smart, simple design of an Apache sprayer reduces the likelihood of breakdowns. In the event something DOES ever go wrong, the simple maintenance, lower parts costs and industry-leading 5-year powertrain warranty means you will be back up and spraying in no time.